WAIST HIGH: I. I Live By The River. I. I Live By The River. For the week ending Oct. 2, 2004, the 10th top seller at Jackpot Records in Portland Oregon was The Clash's London Calling. 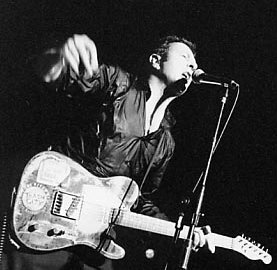 RIP Joe Strummer. Portland loves you.